5 Ways to Avoid Life Insurance Claim Rejection: More often than not, getting claims honoured by life insurance companies is an uphill battle. There are so many clauses, conditions and exceptions in insurance policies today that people are expected to fall ill by contracting a specific disease under specific conditions at a specific time in the day and inform the insurer at a specific time through a specific channel, and only if you’re under a specific insurance plan. Failure to meet any of these conditions would result in no insurance benefit being paid out, and the company is legally allowed to tell your dependants to take a hike. Most often, insurers rely on legal loopholes and clauses in their policy documents to avoid making payments of sums assured, but a surprisingly large number of times, the fault and blame belong to the customers themselves. Here are seven things you as a customer can do to ensure that you always get paid what’s due to you by your life insurance provider. Literally, any bit of information you don’t (or forget to) tell the life insurance company which can have an impact on your health, or result in any medical condition that requires hospitalization or the payment of death benefit is considered as “concealment of information”. Any disease or ailment requiring you to make a life insurance claim will be tracked back and traced to anything in your application form that indicates that this disease or ailment was a possibility. Any pre-existing disease or condition or smoking/drinking habits or anything that can be linked as being a cause to your hospitalization or death will be investigated and, if you haven’t told the company about it, sum assured and other benefits will not be given to you or your dependents. Your premiums are decided on this information, so be clear and open while furnishing it. If there is nothing that you’ve concealed, there’s nothing that can be held against you and the insurer will have to pay your sum assured. Insurers will only settle claims on active insurance policies. There is an astonishing number of people who do not understand that delaying premium payments result in lapsed policies. Once your policy lapses, you are no longer covered and all your premiums paid that far will be rendered useless. The premiums will neither be returned to you nor will they have any legal validity to ensure that you or your dependents get your sum assured or death benefit from the company. In some cases, delaying your payments could also lead to penalty charges and reinstatement charges. Also, if you have a clean track history of making premium payments, the insurer will have one less point to haggle over when it comes time for a settlement. Your named nominee is the person who will receive any and all benefits that come out of your insurance policy when the time comes. If you’re single, naming your parents as nominees would be the sensible way to go. Once you’re married, name your spouse and children. Whatever your present relationship status is, always keep a nominee named so that some benefit will go to some dependent of yours somewhere. Nominees are generally those whose livelihoods are directly dependant on you being alive and well. Don’t delay in filing insurance claims. It may be the last thing on your mind in a medical emergency, but a quick call to your insurance company could spell the difference between having or losing insurance cover. It’s a good idea to give a trusted friend, colleague or relative your emergency insurance information to call and intimate the insurance company in case you are unable to do so yourself. Basically, the life insurance company needs to be kept posted about the events for which they will be held financially liable later. The sooner you intimate the company about whatever has happened that requires medical attention, the easier your claim processing will be. Insurers also consider delays in intimation of hospitalization as indicators of potential fraud. Timely intimation can also keep you clear of this accusation. Fill out your insurance application form yourself. Do not trust that well dressed, constantly smiling, and question-avoiding insurance agent with the responsibility of filling out your forms. Insurers decide your premium payment amount, overall coverage, and even some exclusions based on what’s filled out in your forms. Merely telling the insurance agent everything about your medical history will not qualify him to understand and explain on the form the more difficult intricacies of your medical history. You will need to take the time out of your day and get your records in order and truthfully fill out all the details in the forms by yourself. No one knows you better than you, and you need to make sure the insurance provider knows, too. Withholding tobacco and alcohol consumption habits will be a problem if the reason you’re hospitalized can be traced back to alcohol or tobacco consumption. Agents fill forms fast to meet sales targets, and couldn’t care less what becomes of you in the future. Is that a person you want to trust with potentially huge amounts of money that could become due to your dependants in their most dire times of need? Keep yourself informed and abreast of all developments with your insurer. Keep yourself informed about the details in your policy document. Stay diligent and well informed about the conditions under which you will be eligible for a claim. 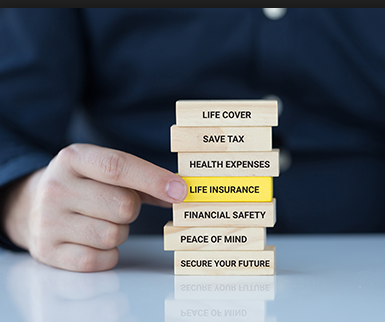 Life insurance is not just a tax saving tool, it’s a serious financial product which, if used correctly, can be a saving grace for your family and dependants. Related Posts of "5 Ways to Avoid Life Insurance Claim Rejection"